On Monday’s Mark Levin show, All roads lead to the Obama White House, when examining all of the wrong doing and unethical behavior we’ve seen in the Russian Collusion Case. Robert Mueller was unethical for not coming out with this announcement before the midterm election. But this all started with surveillance by members of the Obama Administration. By leaking information to the media the FBI and Obama Administration intelligence officials perpetuated the biggest scandal in American history and the media was complicit in all of it. 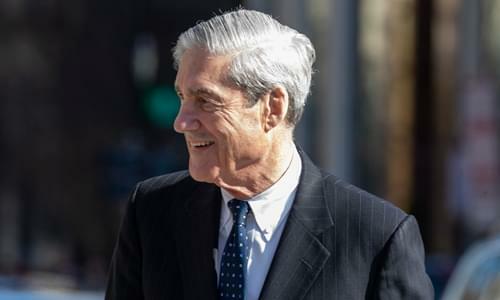 Mueller failed us over and over again; from dragging out a bogus investigation to pursuing the narrative of obstruction in an effort to impeach the president. Mueller used vague verbiage to allude to a potential crime in his report despite saying that he would not pursue additional indictments. Different from Watergate and Ken Starr’s Independent Counsel reports regulated by the Independent Counsel statute—Mueller however, was not regulated under that statute and must comply with the regulations under 6e of the federal code. Then, the media continues their distortion of the facts making it appear as if President is still suspected of a crime by Mueller – which he is not . Afterwards, Michael Avenatti was arrested for extortion for shaking down Nike and he’s also charged with falsifying client billing statements. It’s also believed that Attorney Mark Geragos of the Clintons’ Whitewater fame is suspected of being an unnamed co-conspirator of Avenatti’s and has subsequently been let go from CNN.